More scientific literacy, more methodological knowledge and more authentic insights into how scientists obtain their results – today, scientists can communicate all of this to the public better than ever before. At their disposal, they have an unprecedented portfolio of opportunities to engage in the communication of science to laypeople, ranging from offline formats such as classic public lectures, children’s universities or science slams to various online formats such as YouTube videos, blogs or Facebook pages. It has become clear that scientists are no longer dependent on media professionals and can now just go ahead with personal outreach. 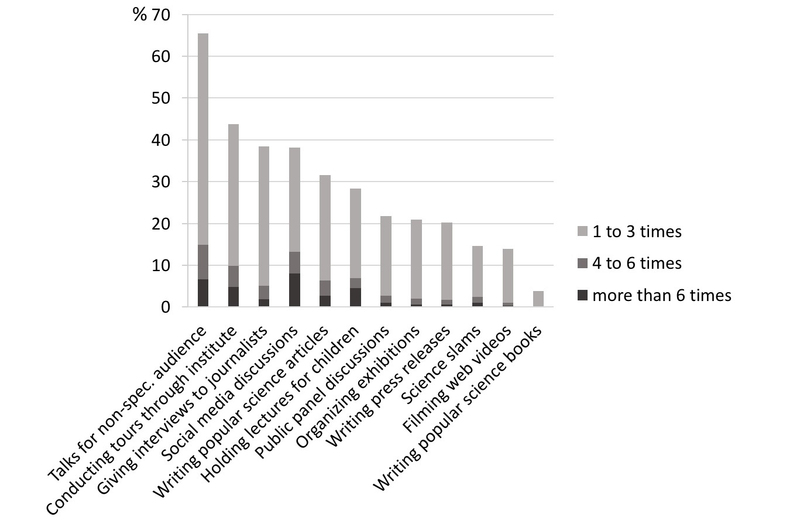 But to what extent do researchers make use of their opportunities? 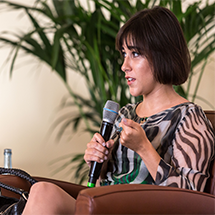 What about the young in particular, those who have grown up in the digital age with its many opportunities to get involved? Plus: Are there any differences between scientific disciplines or cultures? 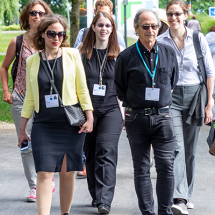 From 2014 to 2018, we surveyed the participants of two highly respected international scientific events for young researchers – the Lindau Nobel Laureate Meetings and the Heidelberg Laureate Forum. We asked them about their attitudes towards science communication to the public (the so called external science communication) and their personal involvement in such activities. What importance do these young researchers from all over the world, who many consider to be the “next generation of professors”, ascribe to communicating science to laypeople? Which formats do they use themselves – and how often? After quality control, we were left with 988 complete datasets of young scientists. These scientists carry out their research in 89 countries and none are older than 35 years old. 41.5% of the interviewees in the sample were women, while 57.5% were men. Fig. 1 shows the distribution by subject. In the two years preceding the survey, most had conducted their research in Asia, Europe, and the USA (Fig. 2). In the analyses below stratified by continent, we have essentially limited ourselves to these three well-represented groups. The analysis of formats used by the surveyed scientists shows that the most popular is the classic popular science lecture (“Giving readily understandable talks for a non-specialist audience”, Fig. 3). 50.5% used this format one to three times in the 24 months preceding the survey; 8.2% did this four to six times; and a further 6.7% of very frequent users made use of this format six or more times. The percentage of very frequent users was only higher for another format, i.e. the use of social media such as Facebook or Twitter to conduct science communication. According to their answers, 8.0% did this more than six times within the preceding two years, 5.2% four to six times and 24.9% one to three times. This made “Discussing topics in my area of specialization in large online social networks (e.g., Facebook or Twitter)” the most widely used online format for science communication to the public, well ahead of “Filming videos about my research and putting them onto the net”. 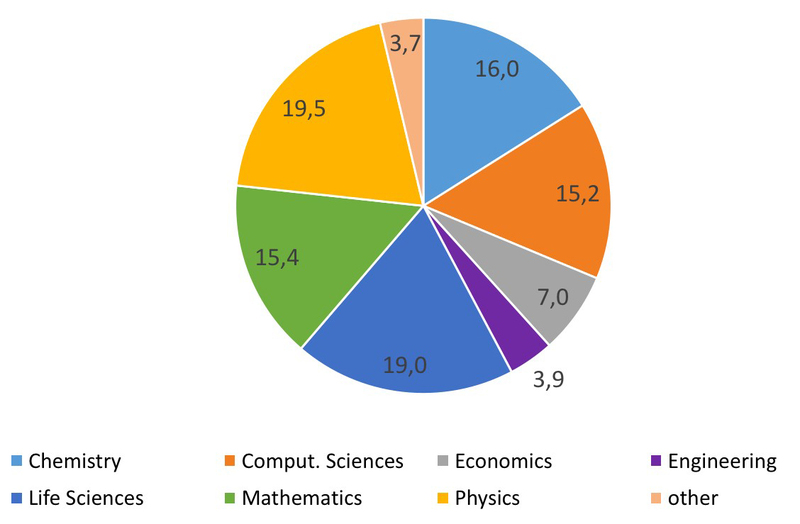 Figure 3: Selected formats of science communication to the public used by young researchers within the sample (n = 988) during the course of 24 months. A closer look at the use of selected offline formats reveals that engineers and economists in our sample were particularly active. The former, for example, most frequently gave talks for non-specialist audiences, conducted institute tours by far most frequently, and were particularly diligent in organising exhibitions. The latter most frequently wrote popular science articles and served particularly often as experts in public panel discussions. The engagement of mathematicians, engineers and physicists in lectures for children was above average (Fig. 4). 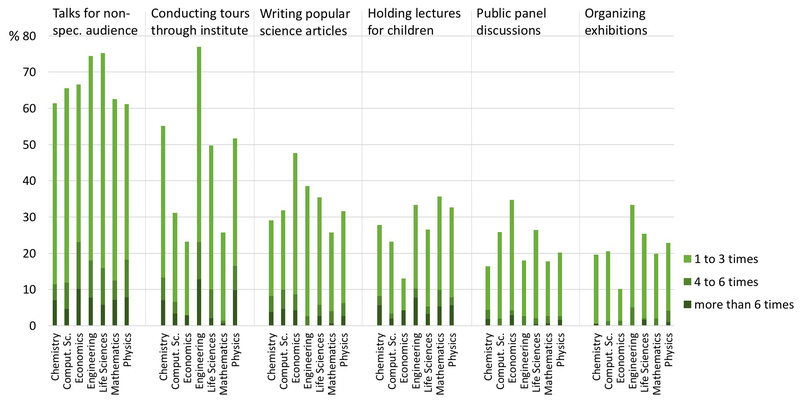 Figure 4: Selected offline formats of science communication to the public used by young researchers from different disciplines over the course of 24 months. However, differences by continent and thus presumably by scientific culture are more pronounced than differences by discipline. Presuming that recruitment criteria for the two events did not differ between regions of the world or between countries (which is what was asserted by the organising institutions), this is striking. Scientists who conducted their research mainly or exclusively in Asian countries in the 24 months preceding the survey were the most active in using almost all offline formats (Fig. 5). Only in the case of lectures for children were they slightly outperformed by their colleagues conducting research in the USA. 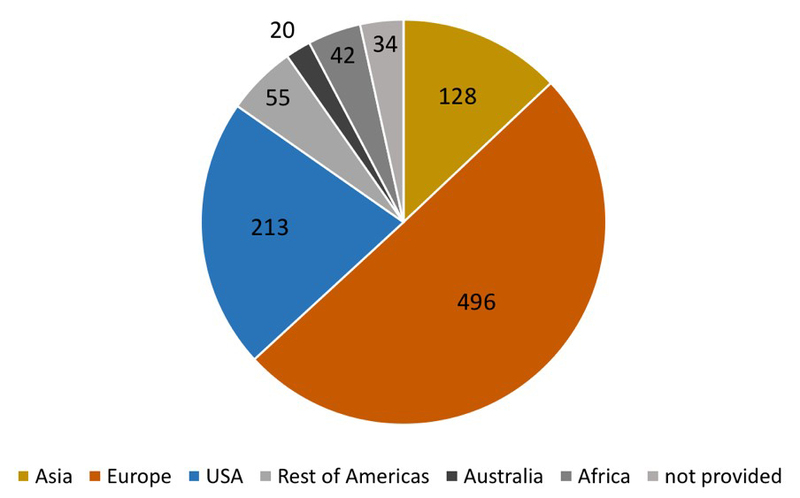 Figure 5: Selected offline formats of science communication to the public used by young researchers from different continents over the course of 24 months. A similar picture emerges for the online formats for science communication to laypeople. Here, computer scientists clearly stand out in their commitment (Fig. 6). However, subdivided by continent, again the involvement of scientists from Asia in public discourse with non-specialists is particularly intensive, both with regard to discussions on social networks and the production of internet videos about their own research as well as science blogging (Fig. 7). Use of digital science communication opportunities is especially rare among scientists in Europe, and those from Germany, 224 of whom were in our sample, are particularly hesitant. 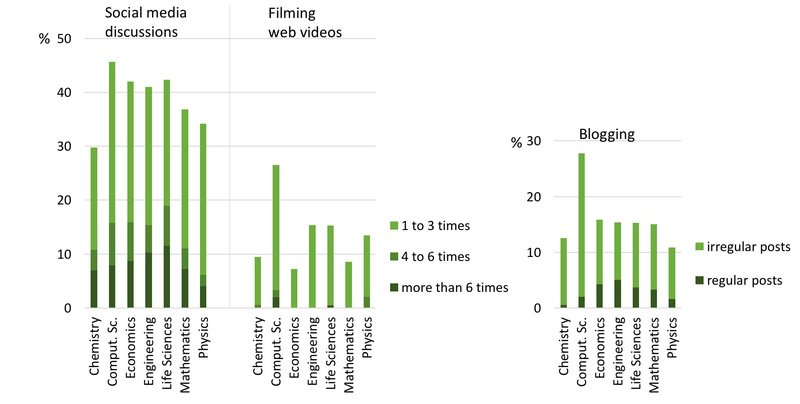 Figure 6: Selected online formats of science communication to the public used by young researchers from different disciplines over the course of 24 months. Figure 7: Selected online formats for science communication to the public used by young researchers from different continents over the course of 24 months. Researchers from Germany were also particularly sceptical about the statement that “Communicating science has a positive effect on a career in science” . Their colleagues from Asia and the USA were much more likely to agree to this statement. This points to differences in the appreciation of personal commitment to external science communication in different scientific cultures. Here, too, the differences by continent were more pronounced than those by discipline (Fig. 8). Figure 8: Agreement or disagreement with the statement “Communicating science has a positive effect on a career in science”. The situation is different with regard to the question of the justification of publicly funded science; here, we found no decisive differences between scientists from Asia, Europe and the USA within our sample. The statement that publicly funded scientists should clearly explain their research to society is strongly affirmed by life scientists, economists, engineers and chemists; mathematicians, on the other hand, are more hesitant in their approval (Fig. 9). Figure 9: Agreement or disagreement with the statement “Society has a right to demand that publicly-financed scientists clearly explain what they are doing”. Have prospective scientists been prepared for today’s media landscape during their years of study and have they learned how to express themselves comprehensibly to laypeople? The unfortunate answer is: “no”. When asked about their own opportunities to acquire public outreach skills through practice-oriented training during their studies, 64.2% of respondents retrospectively rated their possibilities as poor or very poor and only 19.8% as good or very good (Fig. 10). Our survey data suggest that – differentiated by disciplines – primarily engineering and computer science endeavour to train science communication skills during studies; in contrast, mathematicians, chemists and economists seem to lag behind. However, the differences by continent are again even greater. Here, US institutions are apparently ahead, while specifically Europe is lagging behind. Germany again comes in last in this respect. Figure 10: Assessment of external science communication training at university. Conclusion: The majority of young scientists from the STEM disciplines and the economic sciences we interviewed are open to dialogue with society, and consider it right and proper that members of the public reach out to them. All in all, the young scientists use a broad portfolio of online and offline formats for this purpose, and traditional formats such as popular science lectures or guided tours through the institute are even used to a greater extent by these “digital native” scientists than more modern, low-threshold formats such as social media discussions. In terms of personal commitment to science communication to the public, differences between disciplines exist, but the differences between continents are more significant – provided that the admission of young researchers to the meetings we examined is based on the same criteria in all countries. Scientists in Asia are particularly committed, while their colleagues in Europe (and Germany in particular) are lagging behind. Reasons for this may be that the latter consider such a commitment to be less rewarding for a scientific career and that opportunities for them to acquire skills in communicating their science are worse. 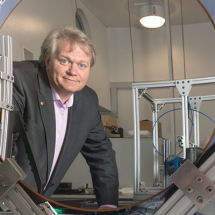 Philipp Niemann is the scientific head of the National Institute for Science Communication (NaWik). 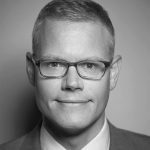 Christoph Böhmert recently completed his PhD at the Faculty of Humanities and Social Sciences at the Karlsruhe Institute of Technology.